Burn injuries can cause extreme physical pain and emotional trauma, and they may result in the wrongful death of the victim. The effects of injuries can be far-reaching, taking a serious toll on the victim's quality of life and the victim's family. According to the U.S. Fire Administration (USFA), there were 15,775 burn injuries in 2014 and 3,275 subsequent deaths. In addition, the USFA found that the state of Mississippi had the highest risk of death by fire of all U.S. states. A burn injury lawyer at Owens Moss, PLLC, in Jackson, MS, can represent victims of burn accidents caused by third-party negligence or faulty products. We will work tirelessly, seeking maximum compensation for your injuries. If you or your loved one has suffered a burn injury, please contact us online or by calling (601) 352-8443. The effects of burn injuries can be long-lasting, impacting a victim's life for years to come. Thermal - Thermal burns are typically caused by kitchen fires, household fires, and motor vehicle accidents. Chemical - Chemical burns may result from household products that contain acid, including toilet bowl cleaners and bleach. Electrical - Electric burns may occur from touching live wires or working around high-voltage areas. These are prevalent in the workplace, especially in jobs involving construction and mechanics. Radiation - Radiation burns can be caused by the sun, or by high exposure to x-rays or radiation therapy. 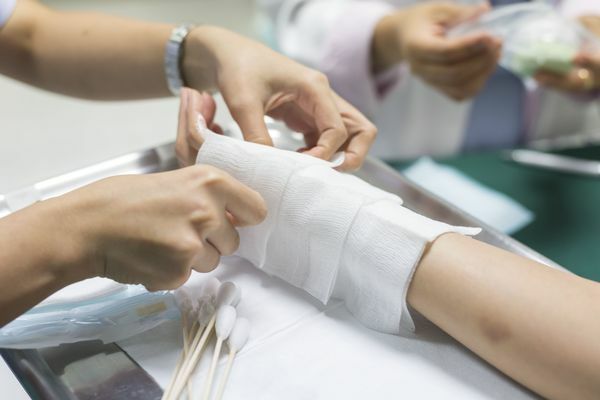 At our practice, we can help determine whether someone else should be held responsible for your burn injury, and we will advocate on your behalf while you focus on recovery. First-degree burns, in which the outer layer of the skin is damaged. Second-degree burns, which affect the first and second layer of the skin. Third-degree burns, which destroy all skin layers, and in some cases can damage nerve endings. Fourth-degree burns, which can injure muscles, tendons, bones, and ligaments. Victims with fourth-degree burns may require amputation, as skin grafts are not sufficient to repair damages. Extensive burns can cause scarring and disfigurement, impacting your physical and psychological wellbeing. In addition, they may require multiple medical procedures and rehabilitative treatment, costing you time and money. If your injuries were caused by someone else's negligence, our attorneys can help you receive just restitution. According to the U.S. Fire Administration, there were 15,775 burn injuries in 2014 and 3,275 subsequent deaths. Depending upon your circumstances, we may pursue a personal injury lawsuit, a medical malpractice claim, or a worker's compensation claim. Throughout our preparation for your case, we will inform you of your options and help to determine the best course of action. The attorneys at Owens Moss, PLCC, distinguish themselves by providing personalized service and prioritizing client needs. Call us at (601) 352 8443 or contact us online to discuss your burn injury case.